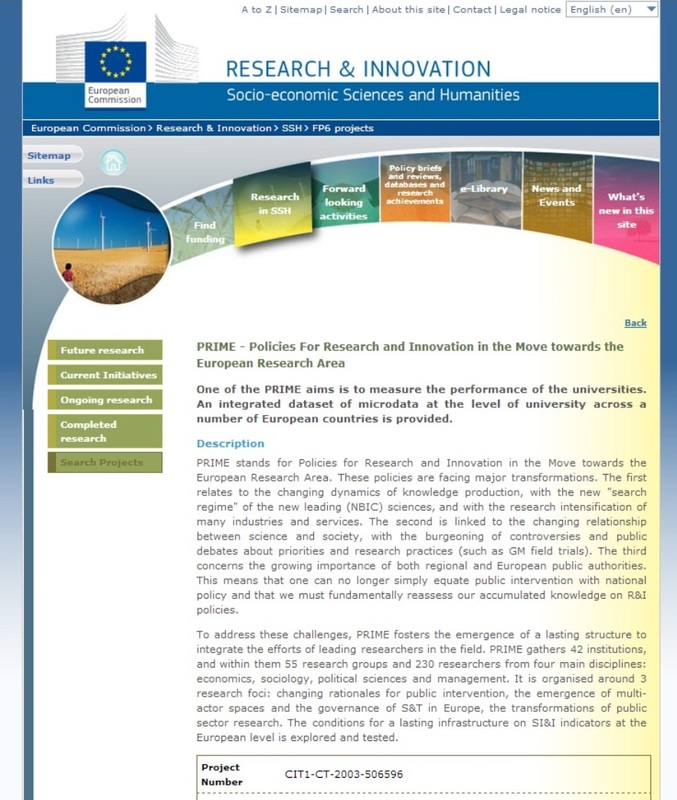 PRIME stands for Policies for Research and Innovation in the Move towards the European Research Area. These policies are facing major transformations. The first relates to the changing dynamics of knowledge production, with the new 'search regime' of the new leading (NBIC) sciences, and with the research intensification of many industries and services. 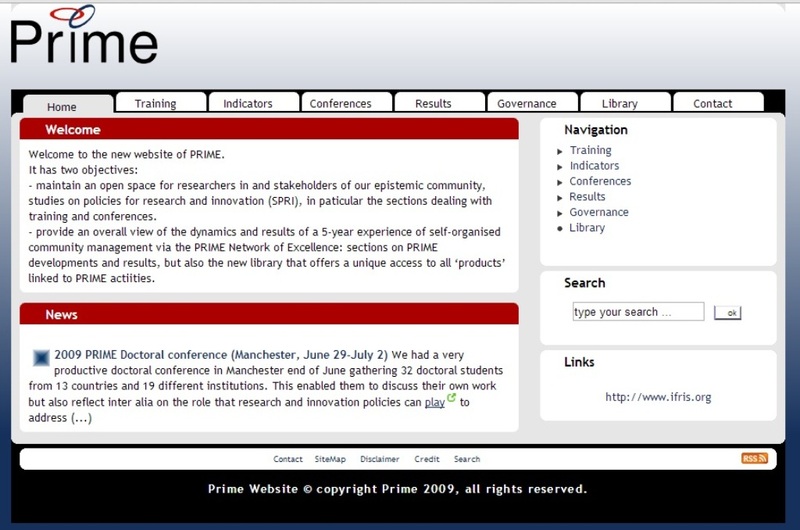 The second is linked to the changing relationship between science and society, with the burgeoning of controversies and public debates about priorities and research practices (such as GM field trials). The third concerns the growing importance of both regional and European public authorities. This means that one can no longer simply equate public intervention with national policy and that we must fundamentally reassess our accumulated knowledge on R&I policies. To address these challenges, our analysis suggests that, although Europe possesses important capabilities, and although we have prior experience of collaborating in EC programmes, the field remains fragmented in terms of both its organisation and its production of knowledge (constrained, for example, by the limited extent to which truly comparable databases exist on policy-relevant issues). It is therefore crucial to foster the emergence of a lasting structure to integrate the efforts of leading researchers in the field. Hence, we are seeking to establish a Network of Excellence. Our project has certain key characteristics. It is truly international and interdisciplinary, bringing together over 200 res earchers (half with established international reputations) and 150 PhD students, from four main disciplines, over 40 institutions and 16 countries. 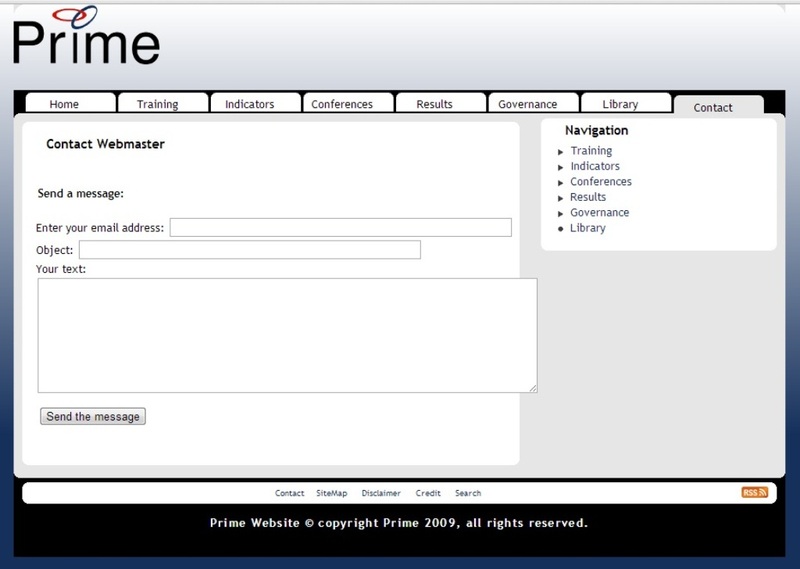 The network has developed a 'progress model' to foster the gradual integration of teams (including those from accession countries) in 'virtual centres of excellence' and an innovative organisational structure to handle the demands of a NoE.